The first and most basic feature promised in home automation is temperature control. Smart thermostats are the first in line for keeping the house comfortable. Plus, smart thermostats aid in saving money, energy, and stress. The market for these products continues to expand rapidly. Now is the best time to invest in upgrading the management of the biggest energy drainer in the house. From a dial on your wall to the palm of your hand, these products are the five best smart thermostats keeping energy and costs cool in 2017. There are loads of smart devices available. Notably, smart thermostats rank among the most popular smart home technologies. These are the best Wi-Fi thermostats you can buy in 2017. Nest continues to lead through investment and improvement in home automation. 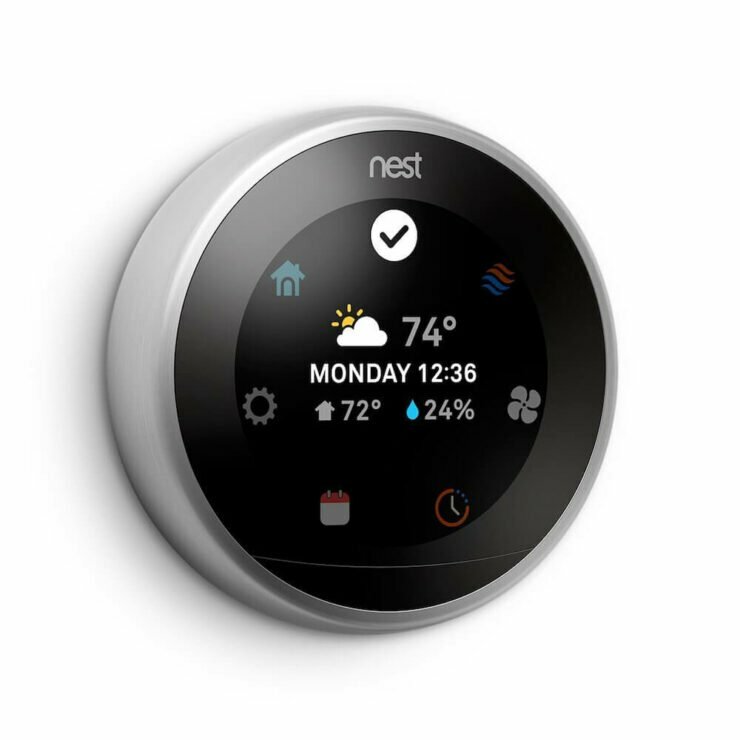 The Nest Learning Thermostat stands as the only thermostat that the company offers. Its third generation model proves that their confidence and investment has not been misplaced. From a design perspective, the control is a simple and elegant device that takes up almost no space. Its metallic finish is stylish but compact enough that it draws little attention to itself until activated. The wall unit contains a 2.08-inch LCD display. The display uses its Farsight feature to sense and activate when you approach. As the name suggests, it adapts to your schedule, heating, and cooling habits. Thus, Nest optimizes energy usage and comfort. The thermostat connects to Wi-Fi. Therefore, Nest is easily adjustable from your mobile device. Further, it supports Alexa voice controls which allow for verbal commands. Nest also tracks your location to keep you as comfortable as possible. Installation is extremely simple. Even those with very limited electrical experience can install it without hiring a contractor. It is as simple as connecting a few wires from an already existing electronic thermostat. It's compatible with most types of heating and cooling systems including gas, electric, forced air, heat pump, radiant, oil, hot water, solar, and geothermal. 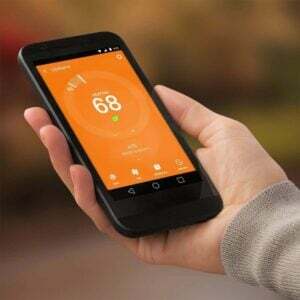 The company also boasts the devices' energy saving capabilities, citing independent studies showing an average saving of 10% to 12% on heating and 15% on cooling bills. With its ease of use, connectivity, and energy savings, Nest is one of the best Wi-Fi thermostats for 2017. If there is one company surpassing Nest, it is Ecobee. The newest addition to their product line, the Ecobee 4, is engineered to be a simple, easy, and effective means for controlling household climate. In purely aesthetic terms the Ecobee lags behind its lead competitor. The large square display lacks the beauty of Nest’s flagship product. But where it shines the brightest is in its function. Ecobee has been steadily adding features to each new product while maintaining a competitive cost. Because of its continued innovation, Ecobee is one of the top intelligent thermostats for 2017. The basic package includes room sensor to help manage hot and cold spots throughout the house. The greatest feature is not the addition of the Amazon Alexa Voice Service, but the fact that the device doubles as an Amazon Echo. The unit is compatible with Apple HomeKit, Samsung SmartThings, and IFTTT. Everything can be controlled through the mobile and PC applications or on the LCD display. Installation is a little more complicated than some other products. But Ecobee still remains relatively simple to install and also offers wiring solutions that will not require professional help. An internal study conducted by Ecobee out the energy saving at an average of 23% in US households. With this balance of funciton, form, and practicality, the Ecobee 4 is one of the best smart thermostats for 2017. Sensi has been a multinational corporation as Emerson's flagship venture into the smart home market. For such a large company already heavily invested in residential heating and cooling, they offer a product line that seriously lacks diversity and features without any of the automation found in other options. The catalog has only two smart thermostats, with very few applications other than mobile control. Sensi’s saving grace is found in its appearance and low price. While not nearly as functional as the similarly priced Lyric T5, the color model has a modern design that outshines its more advanced counterpart. 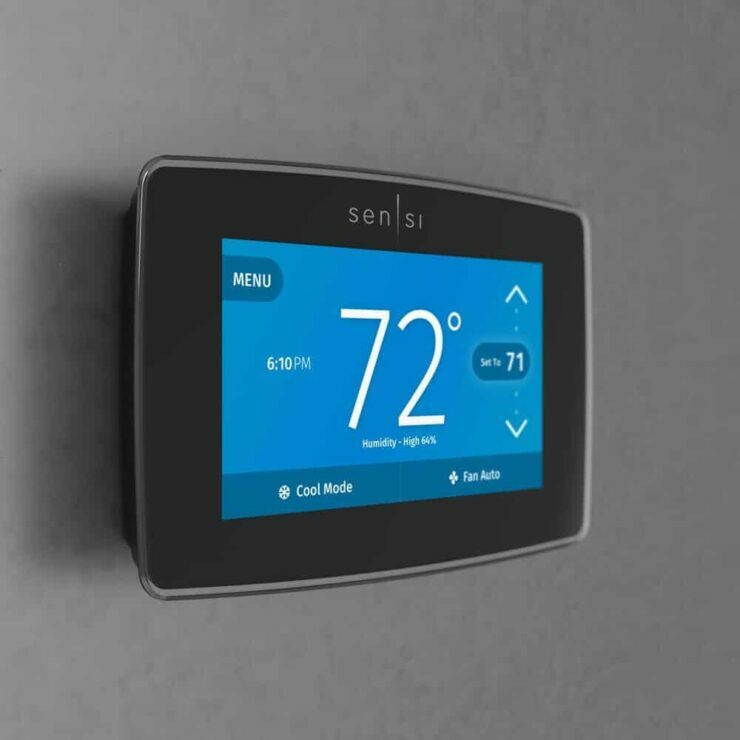 Although it's pretty barebones, the Sensi remains a best pick as one of the top intelligent thermostats available. 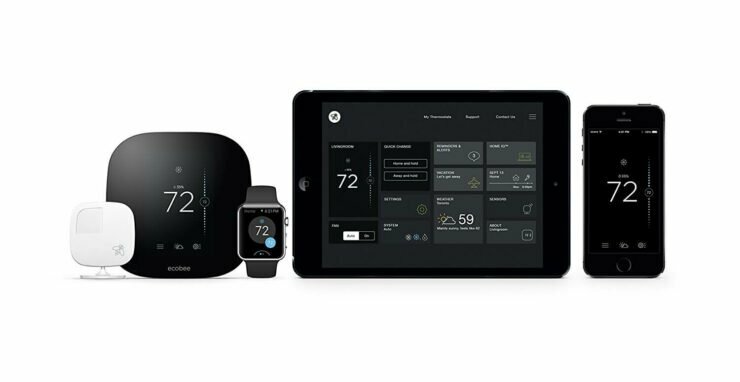 Honeywell has been in the thermostat business for a long time, so it makes sense that they would venture into the world of smart homes. Their newest product, the Lyric T5 Wi-Fi Thermostat, comes out-of-the-box with enough basic features and controls that it should meet the needs of those looking to upgrade their home. As such, it's one of the best smart thermostats for the money. However, at a significantly lower cost than the higher end models. 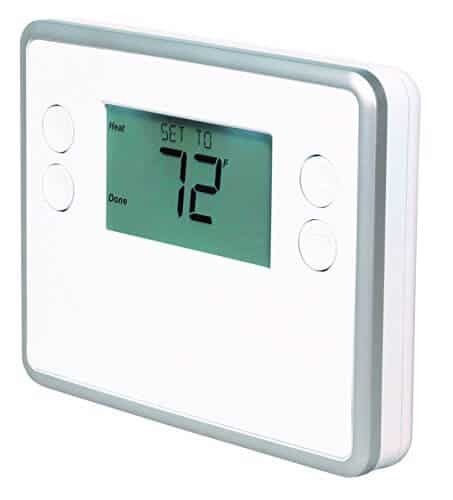 A small and traditional looking thermostat, it offers basic temperature controls that can be connected to a tablet or mobile via Wi-Fi and run via the Lyric app. 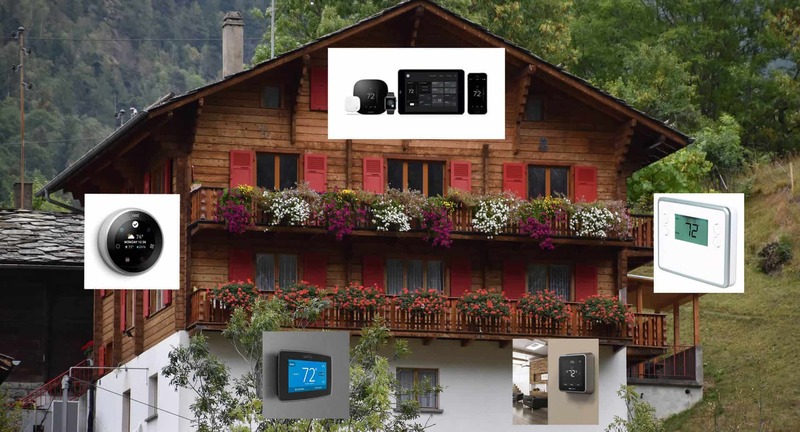 Homeowners can choose to control their systems manually or allow for location-tracking that has the Lyric adjusting temperature automatically, reducing energy costs. These features make the Lyric T5 one of the best Wi-Fi thermostats available. It is compatible with other companies' smart technology including the Apple HomeKit and Amazon Echo.While it lacks the polish and features of other more expensive models, the Lyric T5 is a good place to start for those looking to dip their toe into smart technology, while also saving on power. For those seeking an intuitive, affordable smart thermostat, the Honeywell Lyric T5 is one of the best Wi-Fi thermostats you can purchase in 2017. Z-Wave is a company completely dedicated to advancing home technology in an affordable way. The GoControl is the most basic and cheapest of the smart thermostats listed here today, as well as in Z-Wave's selection products. Offering only mobile adjustment, it's a stout, boxy device. Its cost makes it extremely competitive. But the thermostat does not function as a standalone unit. Consumers will also need to purchase the Z-Wave Smart Hub for $98.94 USD. Z-Wave offers much better options at a higher level of product. Yet currently even those do not offer the same amount of automation as other companies on this list. The business has adopted a strategy of developing entire home integration into computer and mobile devices, focusing on cross-compatibility with other devices like the Echo. There is a lot of work to be done but Z-Wave should be considered a company to watch. Because of its ease of use and excellent price point, the Z-Wave GoControl is one of the best smart thermostats you can find. The best part of this technology it is such a necessary and basic part of the smart home experience. A constant demand for new and updated smart temperature and energy management will keep thermostats developing in new ways as entire household systems become integrated. These five are the best smart thermostats available now. However, the next generation is around the corner. Which are the top intelligent thermostats you recommend?